Home » GPS Watch Buyers Guide » Activities » What Burns More Calories Treadmill or Elliptical? Treadmills and ellipticals are two of the most common exercise machines used for effective cardio workouts. Both have their unique benefits that aid in weight loss and muscle toning. If burning the most calories in the shortest amount of time is your priority, you might wonder which is the better choice. Read on to find out the answers to these questions. A treadmill has long been used as staple equipment in commercial and home gyms. It makes running easy and convenient, and some amount of cardio is a key part of any exercise program, even if you aren’t training for a running event. 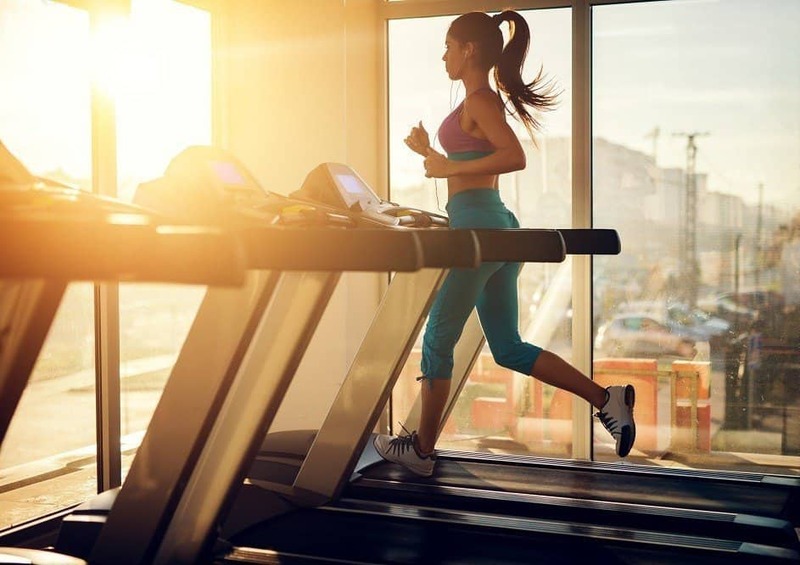 The technology used in making the treadmill has been carefully researched, developed, and perfected over the years. Treadmills offer a wide range of options when it comes to speed, including brisk walking, running, or sprinting. They also come with an incline feature that allows adjustments to resistance during your workout. Using a treadmill will allow you to emulate your natural running stride during workouts. It will quickly give comfort and ease of use while performing different routines. Running on a treadmill at 8mph for 30 minutes can burn 200-300 calories. Using a treadmill’s versatility to create high-intensity interval workouts can make your exercise even more effective. Ultimately, these numbers are approximations, and will vary with your height and weight. Running, even at a slow pace, is not a gentle activity for your body. Every step produces stresses on your spine, hips, knee, and ankle joints. The more intense your running the more intense the stress. Even though treadmills are designed to lessen these forces, they don’t completely eliminate them. For someone with joint problems or injuries, treadmills can be uncomfortable. High-impact workouts such as incline sprints can be dangerous with a lack of adequate skills. The need to change the speed of the belt during fast running may also increase the risk of falling, slipping or hurting yourself. Some research shows that the size of the treadmill belt can cause a change in how you walk or run. In a worst-case scenario, this can lead to muscle imbalances and posture problems over time. Elliptical machines offers a unique movement that resembles a cross-country skiing stride. Rather than your feet landing over and over again on a flat moving belt, they move in an elliptical pattern that is, nonetheless, close to a running stride. The movement creates virtually no impact forces on your joints, and the machine provides a strength-training element that challenges your upper body. Using an elliptical will allow your body to emulate movements without causing too much impact on your bones, joints, and ligaments. This is ideal for people recovering from injuries who want a cardio workout but not the impact of running. An elliptical is equipped with moveable handles and stable pedals that allow you to move and balance your upper body and lower body simultaneously. It tones up your full body by targeting your leg muscles, biceps, triceps, and core. Some ellipticals allow you to stride in reverse to activate different muscles. This is a positive because working out more muscles creates better balance and strength in your body. And because ellipticals recruit upper-body muscles as well, you can burn more calories in a single workout than with just running. The use of an elliptical will let you burn close to 350 calories in about 30 minutes. Most elliptical units lack incline features, which limits you from having intensity variations. This will also give minimum resistance to your movements. The the suspended pedals of an elliptical mean there is no weight-bearing aspect of the workout. You’ll still burn calories, but you won’t necessarily develop as much bone and muscle strength as compared to running, which is particularly important to older people. The presence of suspended pedals doesn’t allow you to pick up your feet, which in turn can cause numbness. Also, the use of your quadriceps will possibly give a burning sensation when the muscles are being used to their maximum. Embrace the burn! These pains should subside after several sessions as your body responds to the routines. What Burns More Calories: Treadmill or Elliptical? Both treadmills and elliptical machines help you burn those unwanted calories. Now, which is the better option? The fact is, they both have their merits, as long as they are used correctly. Using a treadmill will help burn almost the same amount of calories as you would when you use an elliptical. However, deciding on which to use will depend greatly on your goal, whether you need a lower body workout or a full body workout. Treadmills offer more versatility and allows you to work out in your comfort zone. With a proper running plan, the treadmill can burn calories and build muscle and joint strength, since you are supporting your body weight. But this comes with a greater potential for stress and injuries, especially to your joints. Ellipticals burn calories while improving cardiovascular health with minimal impact. High-intensity interval training, as opposed to steady-state efforts, is highly needed when using an elliptical if you want to achieve an optimal calorie burn. If you are preparing for a running event, then it is best to use a treadmill. On the other hand, if you have a weak knee or a nagging injury, then an elliptical machine is the most suitable option. Overall, both exercise machines can do the job of burning calories. Whichever you decide to use (or even if you are using both), you should still consider doing strength training to build muscle and improve your body structure. Treadmills and elliptical machines both have their advantages and disadvantages. You might wonder: between the two, which burns more calories? The answer depends on your fitness goals and health conditions, and workout plans. You might consider incorporating both machines into your routine to reap the most benefits. Varying machines and exercises will avoid monotony. This will also activate different muscle groups, as compared to doing the same exercise over and over again. No matter what exercise machine you choose, always wear proper attire, maintain good posture, and never overstrain yourself. Go slowly but surely in building your strength and stamina while losing those unwanted calories.